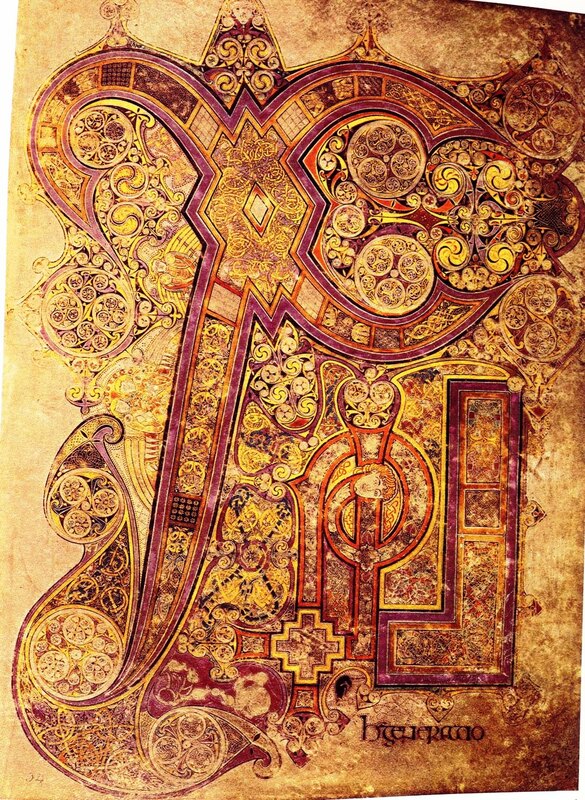 I am forwarding a little more information on the Book of Kells: calligraphy, the influence of the past, its history, the Chi Rho monogram, etc. 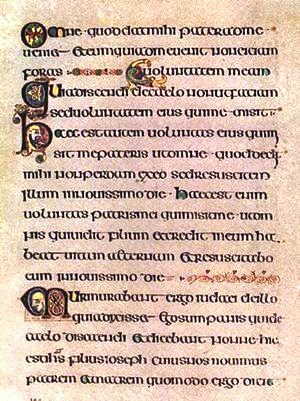 the Book of Armagh (9th century), also known as the Cathach of St Columba or Liber Ar(d)machanus, a Gospel Book (Trinity College Library, Dublin, MS 52). A large part of the manuscript is believed to be the work of one monk, a scribe named Ferdomnach of Armagh (died 845 or 846). The Book of Kells (a Gospel Book or Evangelion) contains the Chi Rho monogram (folio 34r). 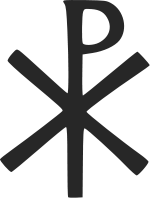 In the Wikipedia entry on the Chi Rho, other early Christian symbols are shown. The Chi Rho monogram is an overlapping P and X. 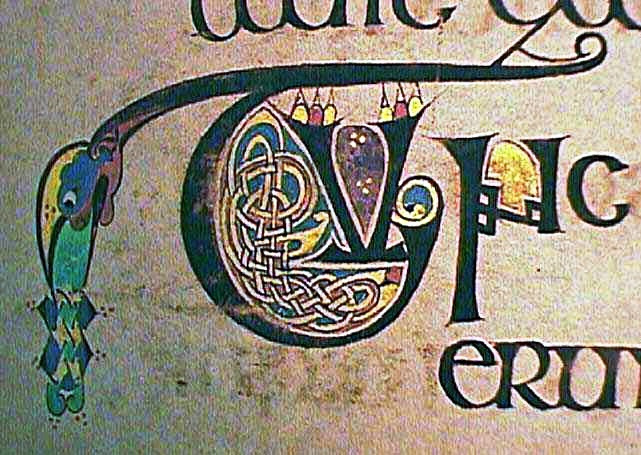 Also important is the abstract art that characterizes Celtic manuscripts. The main motif is the Celtic knot or Eternal knot. (See Celtic knot, Wikipedia.) 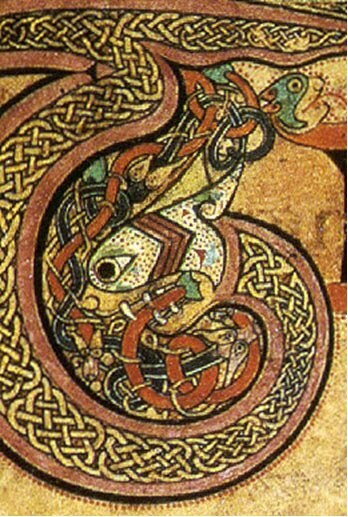 However, the Book of Kells features representational art, especially fantasized animals. At the bottom of this post, there is a link to a video showing how a Celtic knot is made. There is much more to tell about the Book of Kells, but I believe it is best to stop here or we may not see the forest for the trees. 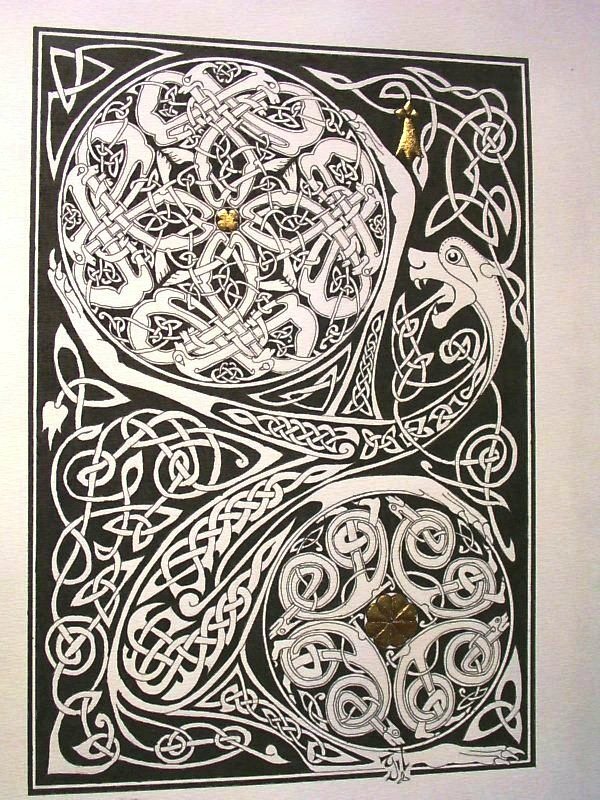 Images such as the Celtic Knot are abstract, but some are representational and often depict rather fanciful animals. I have quoted Wikipedia abundantly. Photo credit: Wikipedia (all). 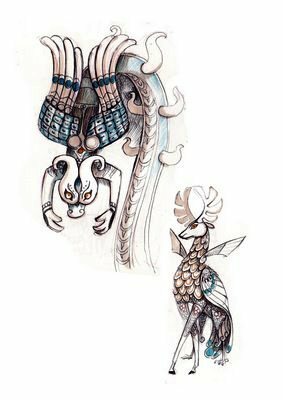 For images contained in the Books of Kells, please click on Book of Kells: images Google. [i] “Book of Kells”. Encyclopædia Britannica. Encyclopædia Britannica Online. [ii] “Hiberno-Saxon style”. Encyclopædia Britannica. Encyclopædia Britannica Online.